The mental strength that you can get through running is what helped her believe she could beat her food demons and anorexia. I couldn’t get home fast enough and when I got there I stripped off the clothes I’d been wearing and grabbed that bright green cotton shirt with “Sprite” emblazoned across the front and those black running shorts—my first pair of shorts that weren’t mesh and made for basketball, that had a brief liner and made me feel like a ‘real’ runner. I burst out the door of the upstairs apartment I shared with three college roommates, clambered down the stairs, out the door and broke into a run before the door closed behind me. Flying down the sidewalk, I drank in the the soft lighting of an overcast September sky and the waining warmth, the swan song of summer in New England. The moment so ripe and delicious with freedom, I wanted to consume it in any way possible. I floated over the sidewalk, skirting the edge of campus before I finally arrived at the trail head and plunged down the tree-lined path. In that moment, the obsessive eating disorder voice was quiet. I forgot about calories and the number on the scale. I left behind the negative voice that dogged me every day and picked apart my appearance every time I looked in the mirror. I found freedom sailing over the sticks and twigs, dodging rocks; legs churning, arms pumping, face flush with the excitement and freedom of running. For the first time in four months I was given permission to run. The permission came from the doctor and therapist at the outpatient clinic where I was receiving treatment for anorexia nervosa. At my afternoon weigh-in I’d finally achieved the weight goal they’d set out for me four months earlier. Gaining that weight had been a battle of wills between the side of me that was consumed by my disorder and the side of me that so desperately wanted to be free. It hadn’t been easy. Ultimately the people pleasing, perfectionist, persistent side of my personality won out. I was determined enough to recover and I wanted to be healthy enough to run again. At the height of my struggle with bulimia. I ran the San Diego Rock and Roll Marathon and swore I’d never run again. I was miserable the whole race, not just because of the race itself but because I was also beating myself up for purging the night before the race. When I first started running my goal had been to be a faster basketball player, to get up and down the court with ease, instead of huffing and puffing the whole way. Once I mastered running around the block, my runs got longer and I found satisfaction in doing something that once seemed impossibly hard. As my eating became more disordered, so did my view of running and any form of exercise. It became less about personal accomplishment and enjoyment and more about controlling my weight. When I was finally diagnosed with anorexia, it was clear that I couldn’t safely continue to run and begin my recovery journey, so I was prohibited from running. For those struggling with an eating disorder, running is often thought to be part of the problem. But for those who have recognized their disorder and have started their recovery journey, running can often be part of the solution. 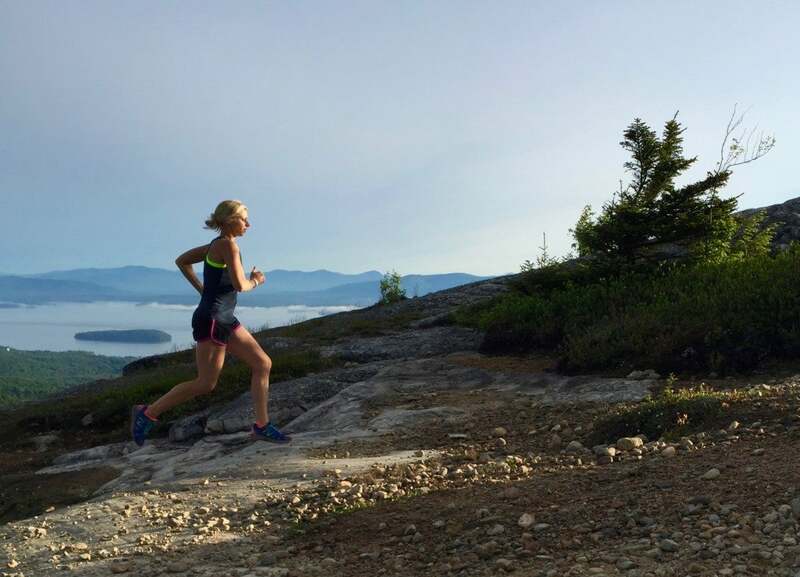 While my running as a teen hadn’t helped prevent my disordered eating and eventual eating disorder, I did experience some of the benefits running offered when it came to the way I viewed what was possible for myself. When I first started running, getting 1.6 miles around the block felt helplessly hard. I didn’t know if I could do it. When I started running that distance with ease, getting faster and faster, I realized that I could do whatever I put my mind too. There’s something remarkably healing about putting one foot in front of the other, and it seems there is now the science to back it up. A recent research project in England used running drills and running to help young refugees process trauma. Evie Serventi, sports psychologist and researcher for the project sighted Eye Movement Desensitization and Reprocessing (EMDR) as the inspiring methodology for the study. EMDR therapy uses bilateral movement to help clients process and heal from traumatic events. Serventi’s research project uses the bilateral movement of running drills like fast feet and strides, combined with a longer run to facilitate healing. “Movement releases trauma; talking therapy and bilateral movement allows you to work through trauma and let it go,” Serventi added when we spoke recently. The project concluded that the running program produced positive change in the way the refugees felt about themselves and their circumstances. When I went into the woods that day there was a subtle shift: I wasn’t out there to burn calories, I was out there to feel alive. I’d been given a gift and all I felt was gratitude and the joy of that moment. 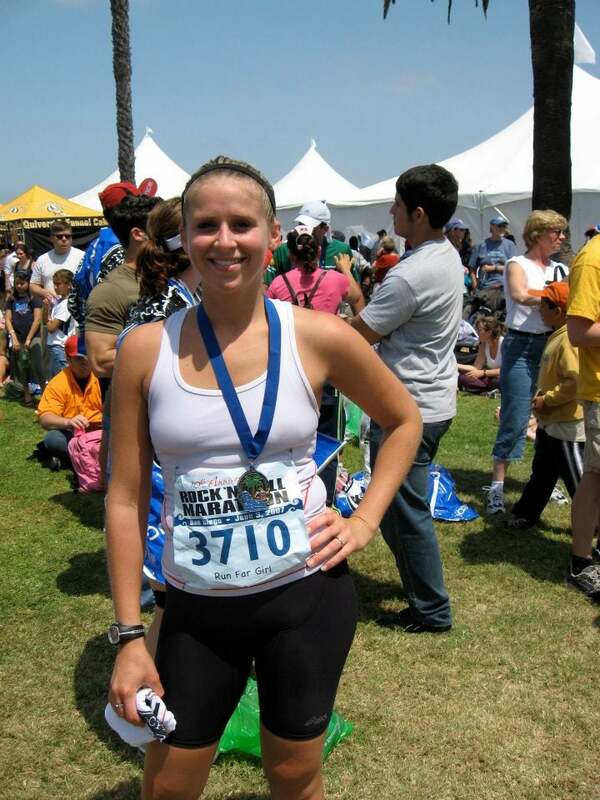 During my nine year recovery process, I maintained a healthy weight, which allowed me to run. But my struggle shifted from anorexia to bulimia, and I battled bulimia and it’s underlying causes while still running. During that time I grappled with the role running played in my life. There were times when my motives were born of a negative place: a desire to burn calories and negate the affects of the food I had eaten. And there were other times when running was the only place I could go where the voices of my eating disorder would be silenced by the pounding of my feet and the rhythm of my breath. It was also one of the only places where my internal narrative was positive. When I ran I spoke kindly to myself: You can do this. You can run that far. You feel like quitting, but you’ve got this. My self-talk was encouraging and it was those positive cognitions that helped me re-write the script when it came to the negative voice of my eating disorder. Running taught me that if I believed I could in my mind, then my body would follow. And so I applied that to my recovery, believing without a shadow of doubt that I could fully recover, even when doctors told me it wasn’t actually possible. I consider myself fully recovered now, and it will be eight years this month that I’ve been free from my eating disorder. I still run, but my relationship with running now is radically different than it was years ago. I’m not necessarily running to prove myself, as much as I’m running to realize myself. Somedays feel like that September day all over again, minus the cotton t-shirt and those running shorts I threw away a few years ago because the elastic disintegrated, where I float over the trail, lift my eyes past the trees to the sky above and feel like I am flying. Committed to recovery: Recognizing the problem and committing yourself to recovery is the first step in developing a healthy relationship with food and exercise. Finding professional support and help is critical to the recovery process. You can find help here. Supportive community: Having a supportive network of friends, family, teammates or that of a running group is essential to helping you maintain a healthy relationship with food and exercise. Being open and honest about your intentions and how you feel about yourself in relation to your activities is essential. Beneficial environment: Some studies have shown that running through green spaces, such as a park or trail has a positive impact on “psychological restoration.” Considering the running environment that brings you the most joy and plan your runs there. Balanced with other activities: Keep your running balanced with other activities, take rest and recovery days often and be clear about your motives for each activity. Food education: Changing your perception of food in its relation to exercise can positively impact your behaviors. Consider food as fuel, powering your body to do amazing things and don’t forget a key aspect of what we eat is enjoyment!